Q4 offers a great, cost effective way of cladding uneven walls in the bathroom, replacing the need for tiles, and creating an individual look. Choose from a variety of colours, finishes and sizes that can be placed anywhere in any bathroom. Our bathroom cladding and wall panels are a robust, cost effective way of making a statement in your bathroom. Simple and quick to fit, with no need for grout, bathroom wall panels are a great alternative to tiling - non-porous, mould free, and easy to clean too. Suitable for wet and dry areas, our structurally stable wall panels are waterproof and come with our 10-year guarantee. 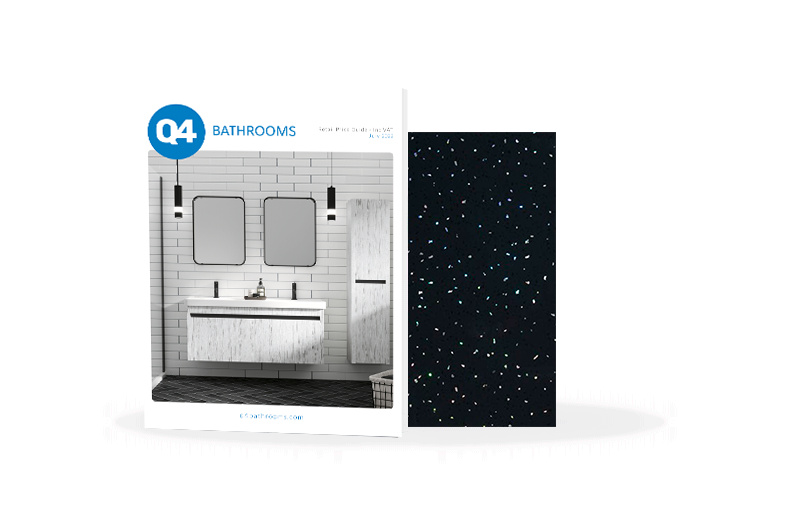 Why buy bathroom wall panels from Q4?